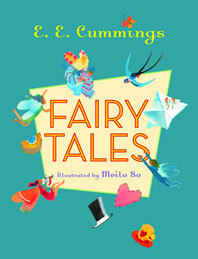 Fairy Tales - Description | W. W. Norton & Company Ltd. These whimsical, timeless tales, by one of our most treasured poets, will appeal to any generation. The four tales in this enchanting, newly illustrated volume, tell of lonely and extraordinary characters finding friendship in unlikely companions. In "The Old Man Who Said Why" a wise fairy's kind nature is taxed when one old man's questions throw the entire heavens into madness. In "The Elephant and the Butterfly" and "The House That Ate Mosquito Pie" shyness is overcome by the compelling love of new friends. "The Little Girl Named I" is a conversation between the author and a small girl, in the manner of A. A. Milne's Winnie-the-Pooh. Clever, insightful, and magical, peopled with vivid characters—a house that prefers one bird to any human inhabitants, an elephant paralyzed with delight, a fairy who "always breakfasted on light and silence"here are tales as only Cummings could write them. A delightful and surprising gift for anyone, young or old. This edition—newly typeset with an introduction by Stephen Dunn—presents the entirety of E.E. Cummings’s transcendent body of work. The complete collection of E. E. Cummings’s writing for the stage, from the most inventive poet of the twentieth century.